Shirley Perry NDSF is the proprietor of Flowers by Shirley. 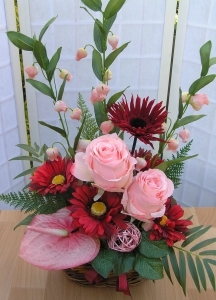 She is a florist with over 25 years experience and has won many awards for her work. 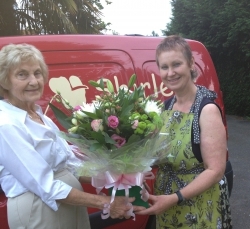 Previously the owner of florist shops--Abbey Flower Designs in Waltham Abbey and Shirley's Flower Designs in Sawbridgeworth --- Shirley now works out of a studio rather than retail premises which allows her more flexibility and to make sure that every single order is personally handled by herself. Less overheads also means that the customer gets fantastic value! 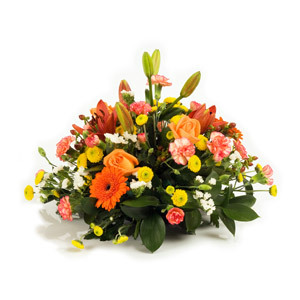 All the flowers used at Flowers by Shirley are of the highest quality and freshness. 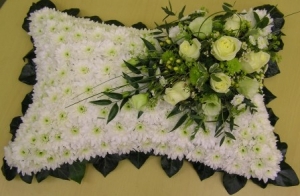 One of our specialities is the beautiful funeral work that we produce. We have made many unusual and personalised designs for our customers. 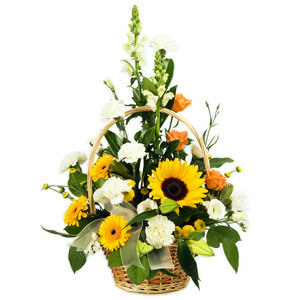 Our hand tied bouquets are abundantly full and always packed in an attractive box for display and sturdiness. 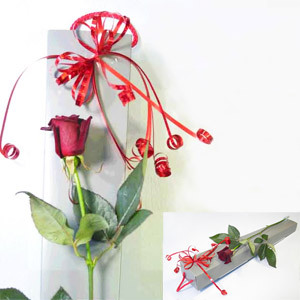 We also have a vast selection of silk flower arrangements for which we have an excellent reputation and are happy to make them up to individual requirements. 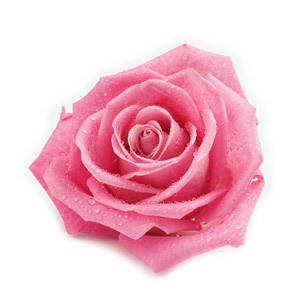 The very best artificial flowers are used and they make an excellent low maintenance and long lasting gift. 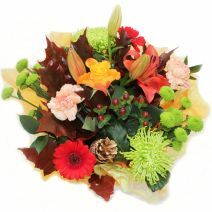 Flowers by Shirley is based in Sheering in Hertfordshire. Our main delivery areas are Sawbridgeworth where we regularly deliver to the Rivers Hospital, Bishop's Stortford, Harlow, Takeley , Little Canfield, Hatfield Heath , Sheering and all the little villages inbetween. We go further afield as well covering Epping and Nazeing. 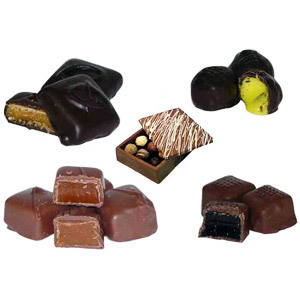 If your area is not listed above just give us a ring and we'll let you know if we can deliver there for you. First rate flowers from Flowers By Shirley. The recipient of the flowers was delighted with them. Beautiful flowers arrangement. Very pleased. Highly recommend! My aunt enjoyed the flowers for her 82nd birthday a lot! She phoned to tell me how nice they were, and that made me happy as well! Thanks a lot! Delivered on the day requested with less than 24 hours notice, my sister absolutely loved them! 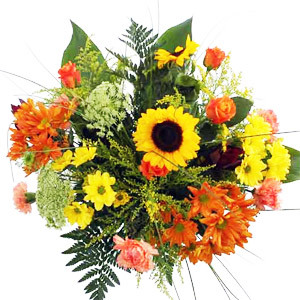 I have dealt with our local florist for years and they are nice to deal with; they give a helpful, courteous service and their pricing is just right. This is the first time I have ordered on-line from them. Family businesses are often more accountable and I love the idea behind this one, I really do. I hope others will too. The flowers, I am sure, will be beautiful. 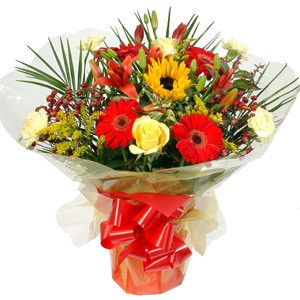 excellent service,lovely arrangement Thank you would use this Direct2florist every time. The flowers were colourful, beautifully arranged and are still looking fresh . I ordered the florist?? ?s choice as I believe they choose the freshest, prettiest blooms and use their artistic flair. I was not disappointed. Thank you so much Shirley. 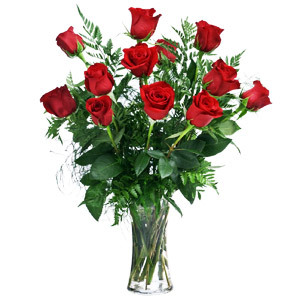 They were beautiful and the recipient loved them. 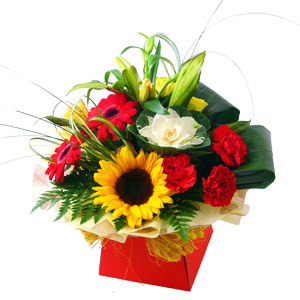 Fantastic, flowers arrived very quickly after placing my order in Australia. 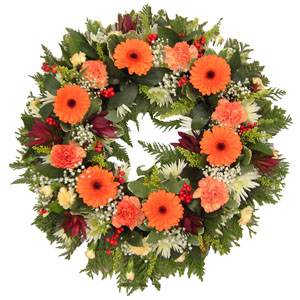 Have tried other florists before have not been happy with the quality of flowers. We have used Shirley twice and both times the flowers have been beautiful .. I it's a relief living in Australia to know that I don't have to worry about the quality of flowers being sent to the UK. 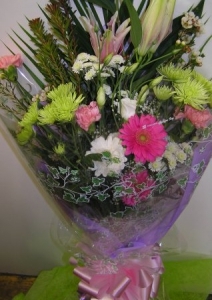 Excellent service, same morning delivery, photo taken and sent of bouquet - thank you! Thanks for your text notification, Aunty was thrilled. Flowers were better than we had expected. We will be back!! 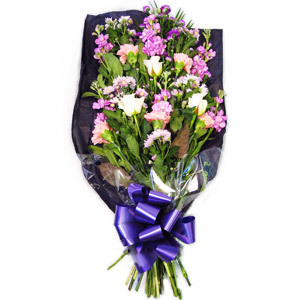 Front facing silk flower arrangement in your colour choice. The lasting option!